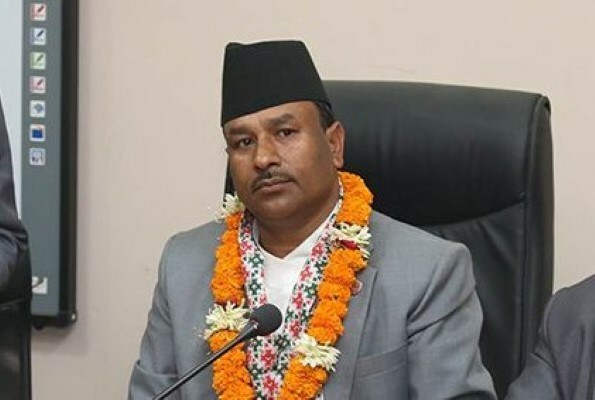 Sankhu– Minister for Youth and Sports, Jagat Bahadur Bishwokarma, has said prosperous Nepal could not be imagined without the development of sports. Addressing a concluding day of the football competition organized by Shankarapur municipality sports development committee here Saturday, Minister Bishwokarma reiterated that development of sports could not be ignored for country’s prosperity. Football is becoming nationally and internationally popular, so the competition from the local levels would help boost players’ skills, he argued. On the occasion, Minister Bishwokarma distributed the medals, shield, cash prizes and certificates to the winner team- Shankarapur municipality -9. Rs 100 thousand was provided to the first winner, while Rs 50,000 and shields to the team sanding second and Rs 25,000 and shields to the third.